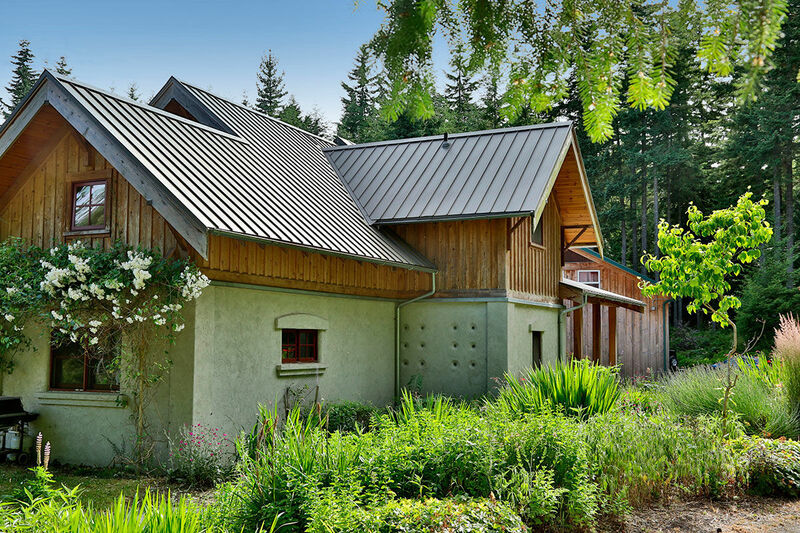 See additional photos from HOUSES by Design issue 278: Taproot Architects uses reclaimed materials to customize a Whidbey Island straw-bale home. One of the primary goals for this project was to include as many locally available, salvaged, and repurposed materials as possible. Taproot Architects designed the home to include a hybrid wall system composed of structural integral concrete forms and infill straw bales. Wind-felled trees provided most of the lumber, siding, and trim material. Interior doors came from salvaged sources. 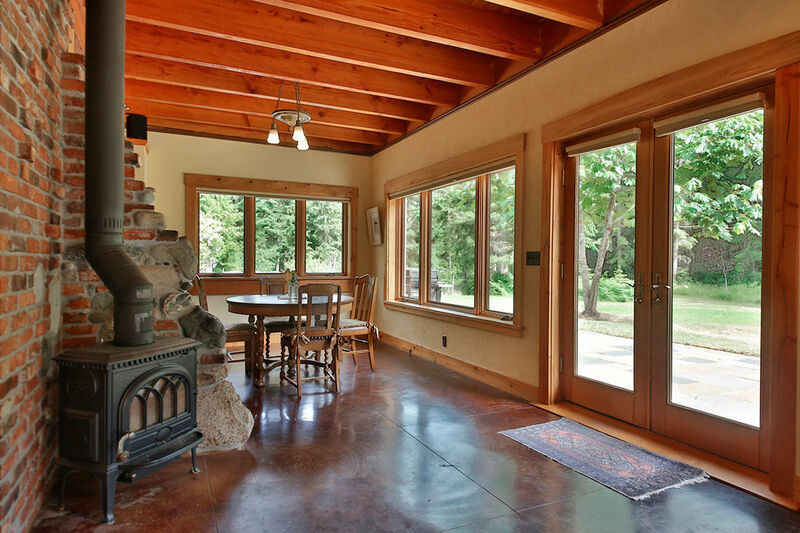 A sizeable hearth is the central focal point. 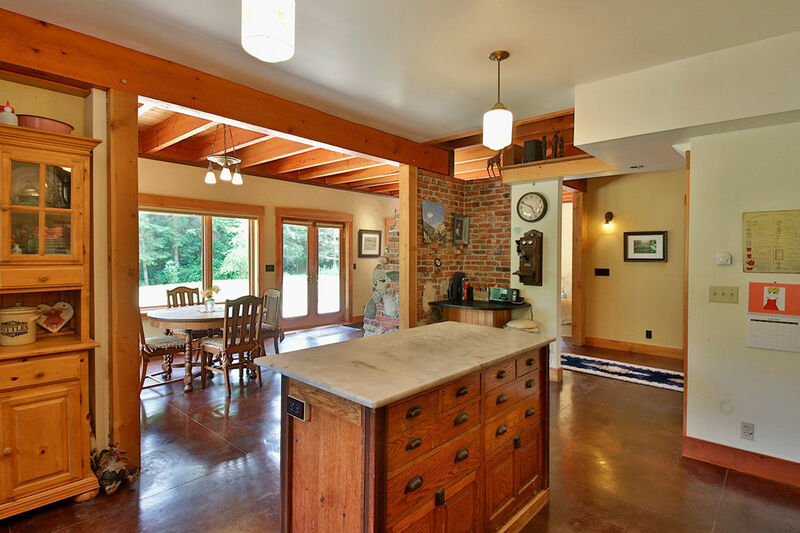 In order to create the substantive feel of a traditional fireplace with less cost and greater efficiency, a new woodstove was installed with a reclaimed brick/stone surround. 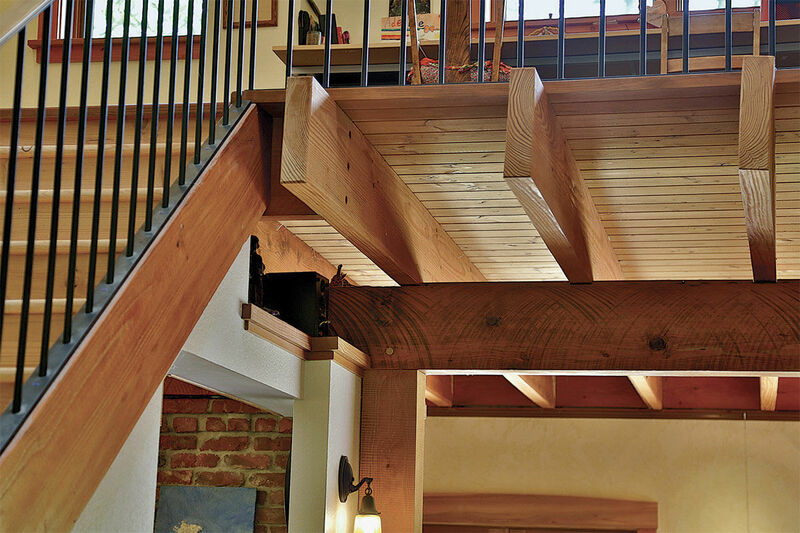 This feature provides visual separation between the living, dining, and kitchen areas while also showcasing the homeowner’s design-build craftsmanship. 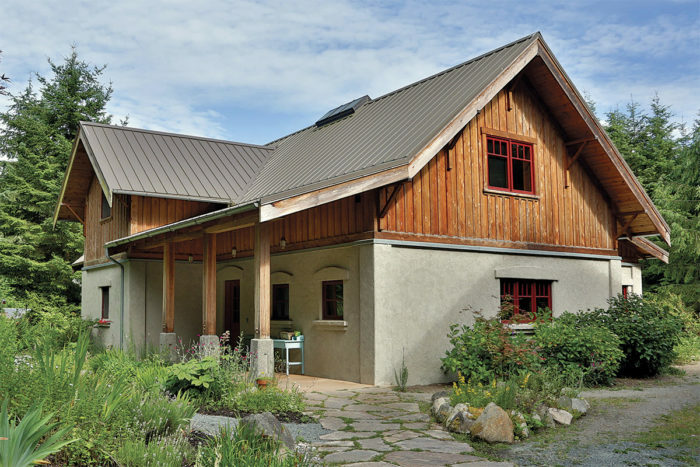 Tasked with building an energy-efficient straw–bale house in seismic zone D2 on Whidbey Island, Wash., Taproot Architects opted for Rastra ICF block construction for lateral reinforcement rather than plywood-braced wall panels with straw-bale infill. Ultimately, because the ICF block became locally available for an excellent price, it was used almost exclusively. 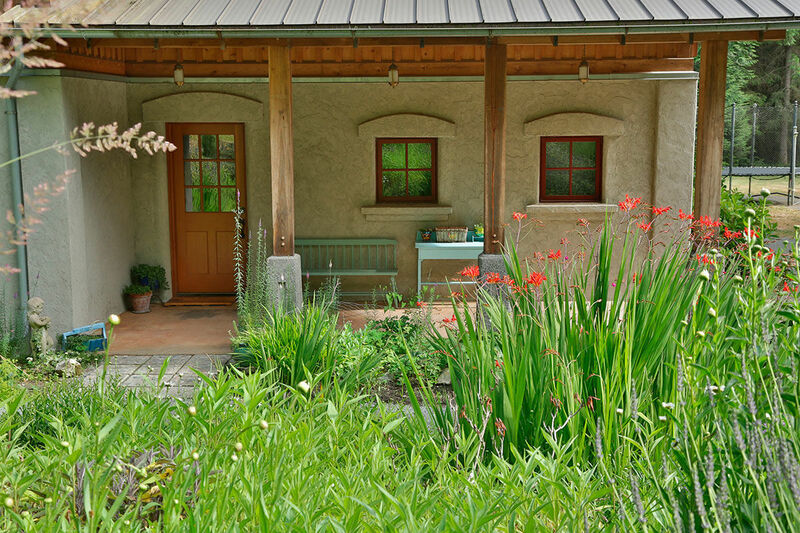 Both ICF block and straw bales work well with stucco and plaster, so the finishes were complimentary. 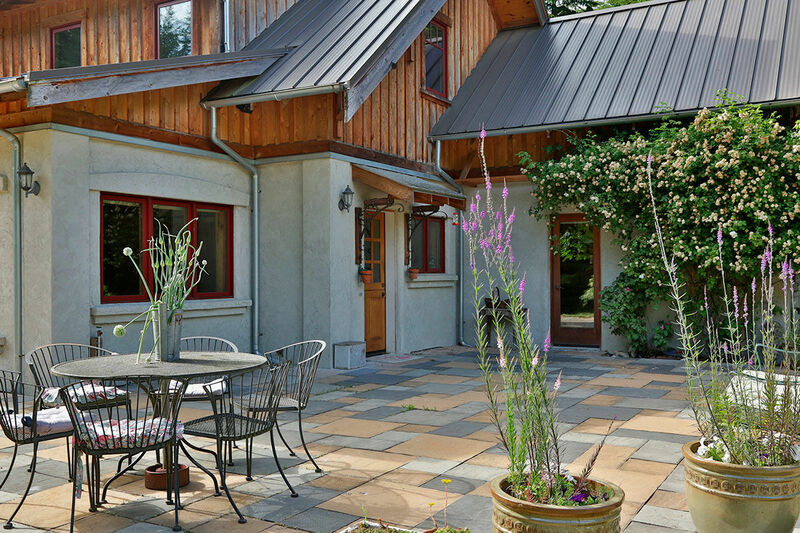 Digging in exceptionally hard and rocky soil proved problematic at the front of the house, so the arrival point was moved from the front door to the end of the entry porch. The remaining grade was landscaped to provide a separation between the front facade and the access drive. 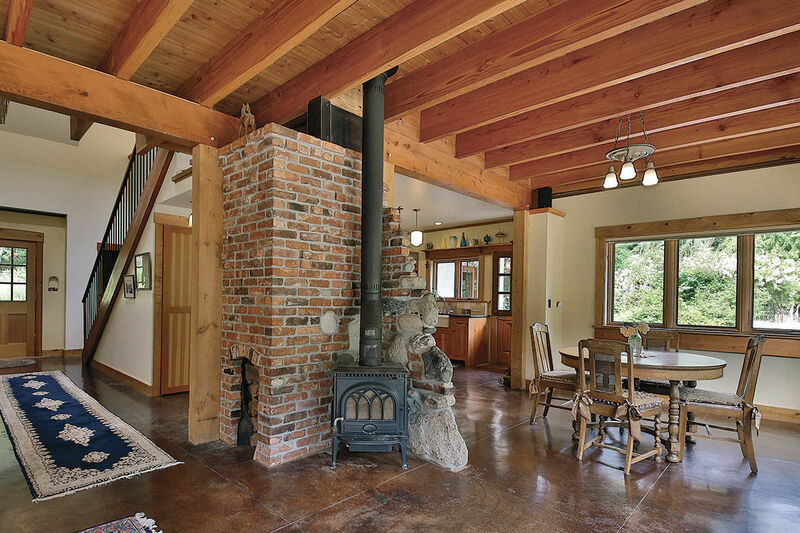 The feel of a substantial fireplace and hearth was created on a limited budget using a reclaimed wood stove and brick/stone surround. Project location: Whidbey Island, Wash.